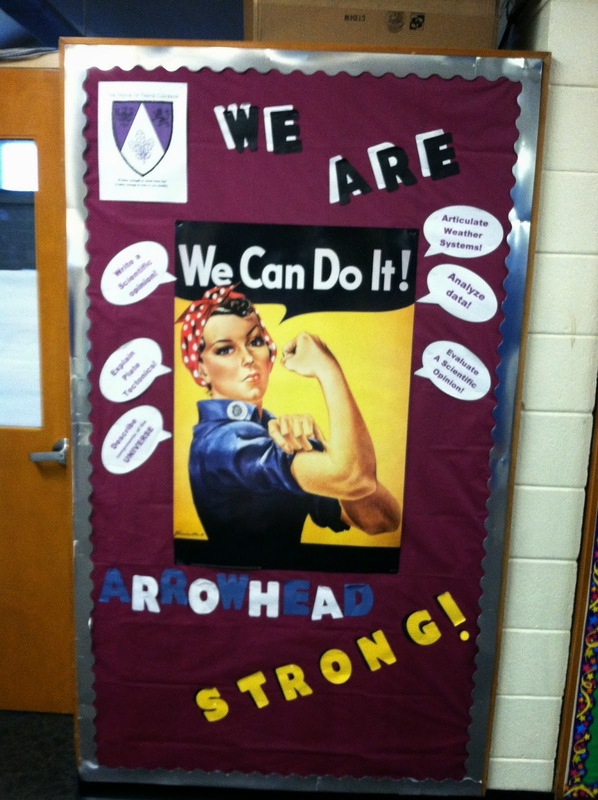 At Arrowhead, a House is a group of teachers and students from all three grade levels in middle school. We have nine Houses at our school. 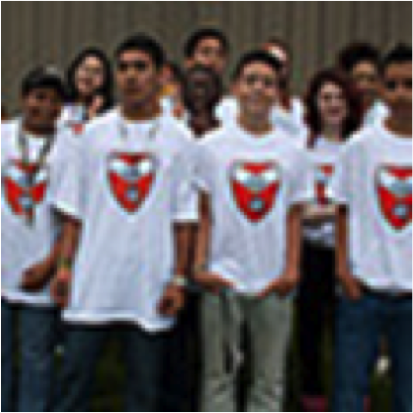 Each House consists of one advisory group (we call them Family Advocacy classes) per each of the three grade levels. The teacher and students of one 6th-grade FA, one 7th-grade FA, and one 8th-grade FA make up one House. Each House has its own color, name, family crest, slogan, and cheer or chant. Each House has a boy and a girl House captain, chosen from the 8th-grade FA. 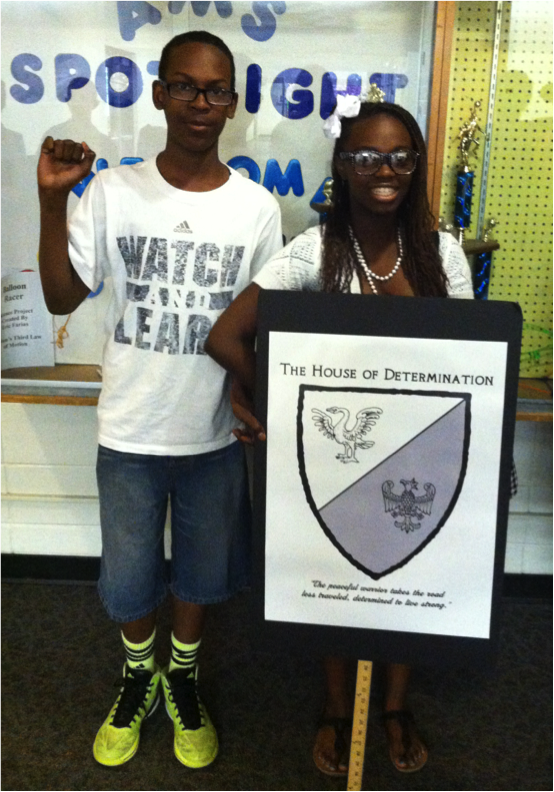 Because all of the eighth-graders are spread across several Family Advocate groups, the selection of House captains is not a popularity contest. House Captains encourage their members, set a good example, demonstrate House and school spirit, and perform tasks such as facilitating the completion of information sheets by all House members and leading in the quarterly celebration of birthdays. 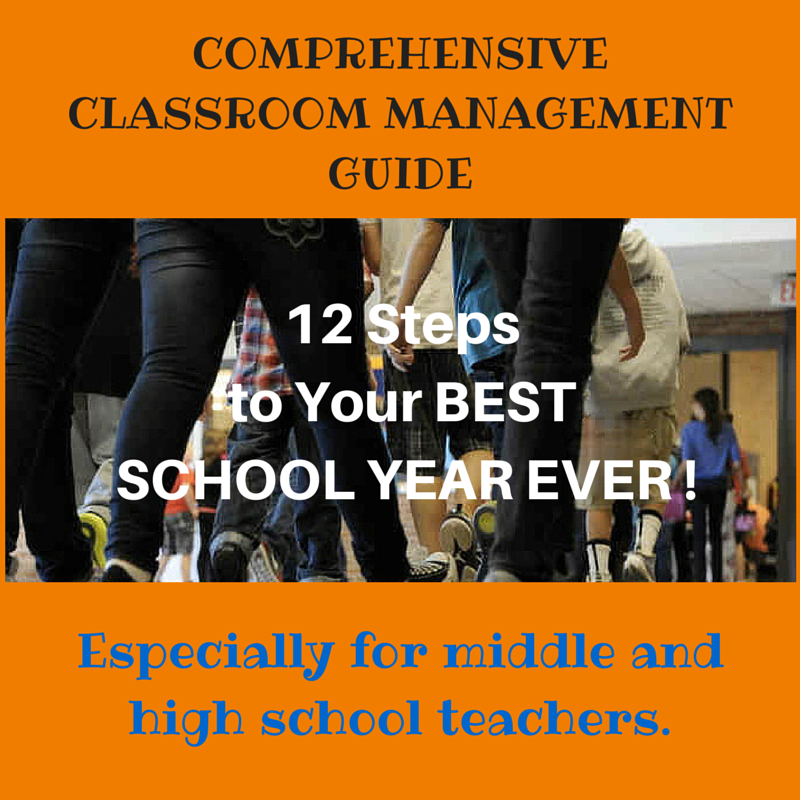 I was looking for a way to help our 8th-graders realize that they are in a leadership position in our school. Typically, they don't feel it or become aware of it until their last year in middle school is nearly over. I also wanted to increase a positive sense of belonging for all students. Some teachers are naturals at creating a sense of community in their own classrooms, but not all teachers are comfortable enough, or know how to, infuse that sense of belonging across all classrooms in the school. The Houses structure supports the efforts of adults to establish a sense of family throughout the building. 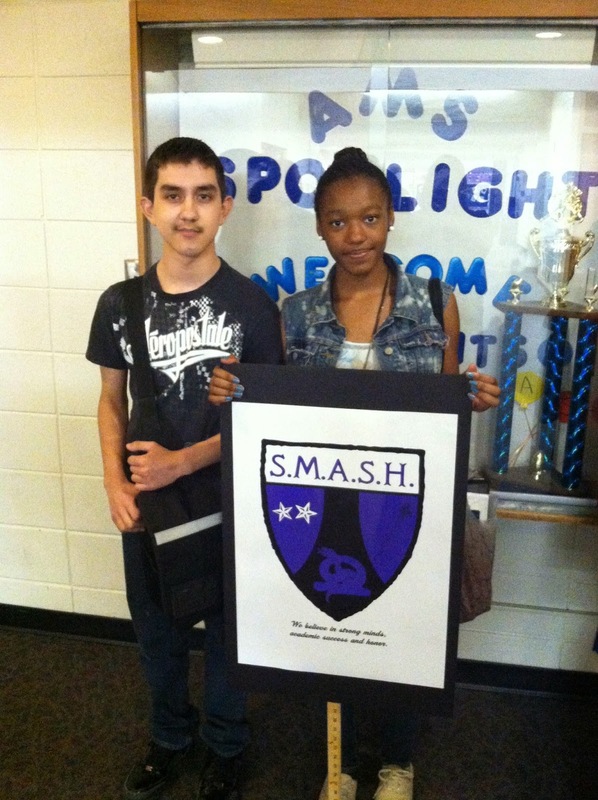 We have always conducted a school-wide, year-long competition among grade levels. Beginning two years ago, with the construction of our Houses, we now compete in Houses for several end-of-the-year prizes. How Were Our Houses Developed? My leadership team (two administrators and two teacher leaders) started by grouping teachers who don't always work together into the nine mixed-level groups. We wanted to make sure we included at least one teacher on each team who is more out-going, someone who "gets" what our kids like, someone who doesn't mind acting silly or sentimental on behalf of the kids. We hoped this would ease the anxiety of some of our less extroverted adults. We introduced the notion of Houses at an August before-school inservice and quickly identified the groups. Next, we had each new grouping think of a name for their House. We had constructed a sample House among the leadership and office staff that we called the House of Good Example. We claimed Arrowhead blue as our example color, so each of the other House groups had to have a different identifying color. 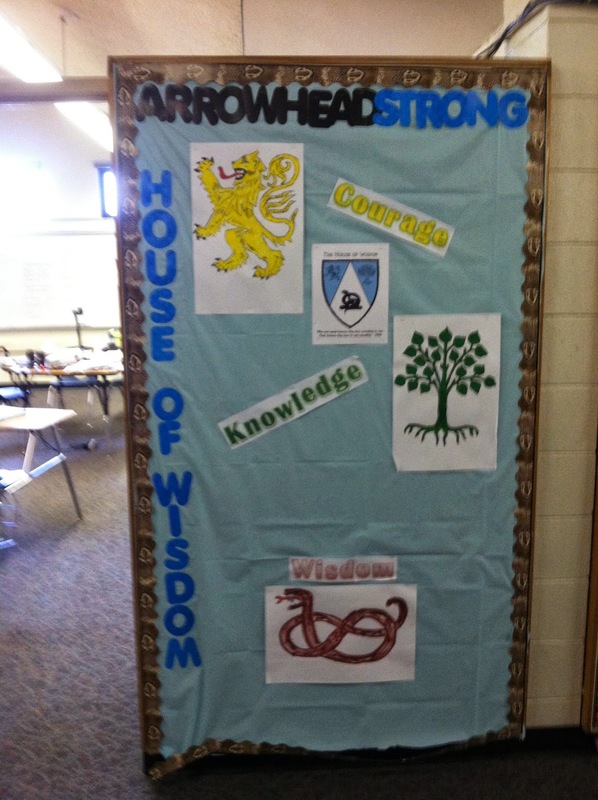 One of my teacher leaders constructed an interactive site for developing a House "family" crest or coat of arms. All had the same shield-shaped outline, but each House could select from three or four background patterns and could use only their identifying color plus black and white to create their crest. They could also select from a dozen or more symbols used by knights in heraldry to add to their House identity. The teacher leader posted the traditional meaning of each symbol as well, so teachers could eventually explain their symbols to their students. 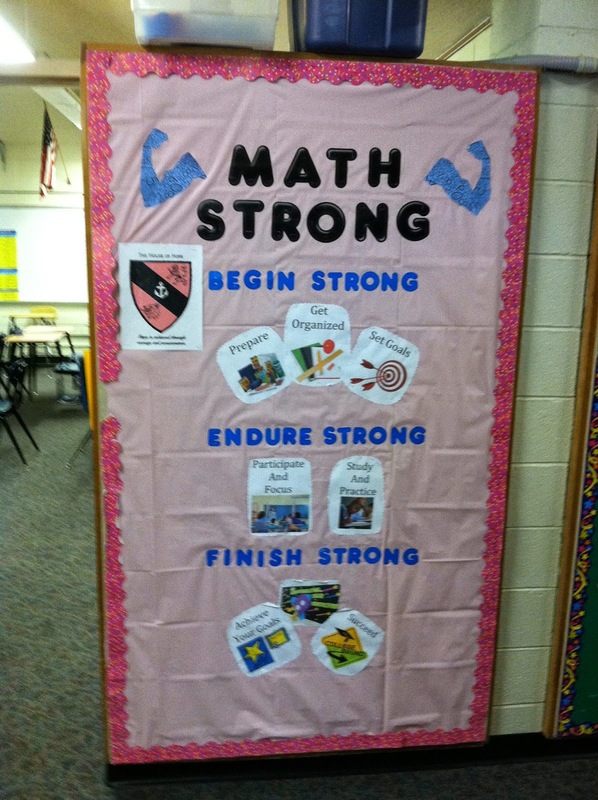 Finally, each teacher group had to write or find a suitable slogan to add to the image of their crest. In the example above, we chose the cross-shaped background and filled in our identifying color (royal blue) where we wanted it. 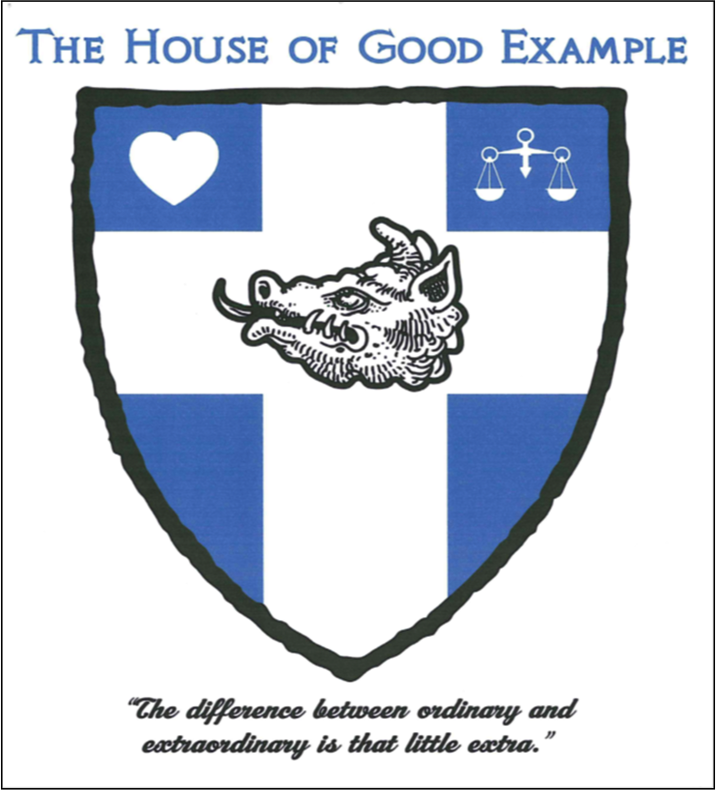 We chose three symbols for our office "House" - the heart, because our motive for all we do is love for students; the scales of justice, because we have to provide discipline fairly; and the boar's head, which symbolizes hospitality! Finally, we added our slogan: "The difference between ordinary and extraordinary is that little extra." Each House would get to choose their color and border in the order that they finished The Grand Competition for Colors. The competition was a relay race that involved a hula hoop, coordination, speed, and teamwork. The first finishers selected their favorite color and border and so on through the nine teams. 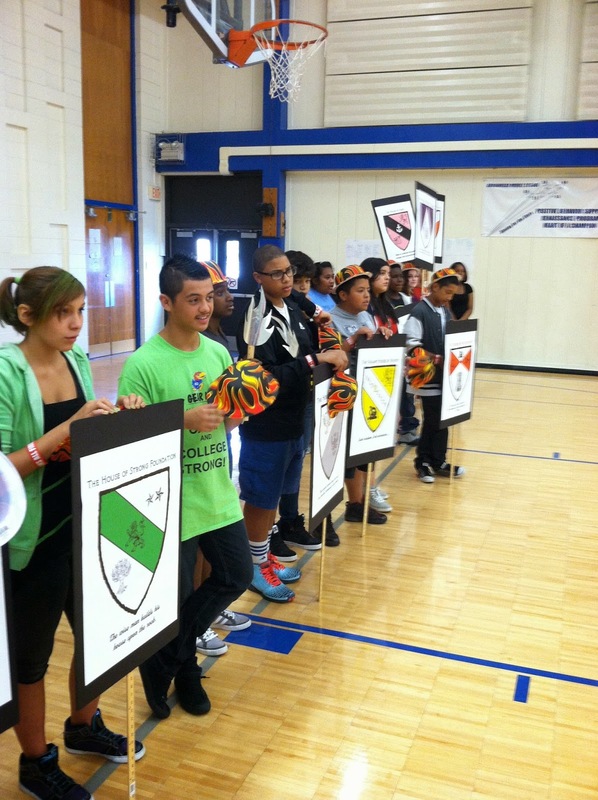 The teaching teams used the template we provided to construct their coat of arms. 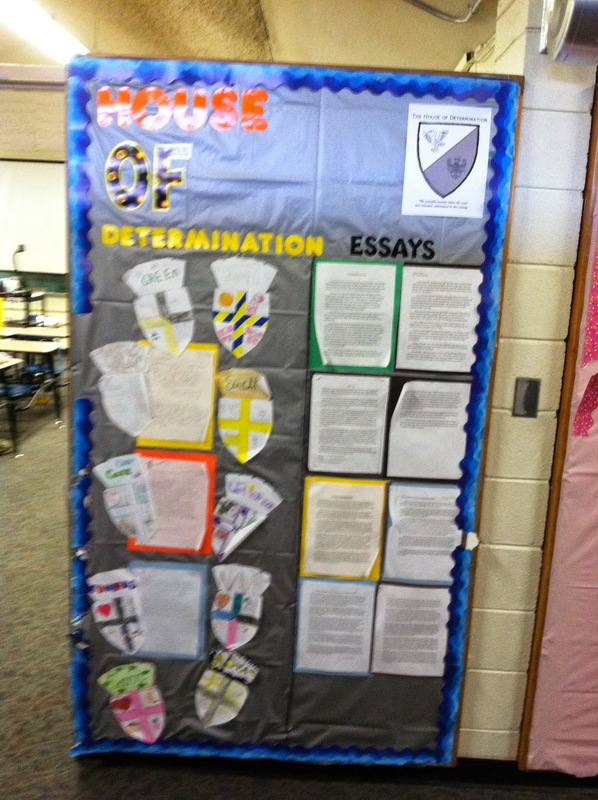 When they designed the bulletin board outside of their classrooms, they used their House color and matching border, and they all posted a picture of their coat of arms on their boards. A student could easily see his House's identity, not only represented in his own grade-level hallway but also in each of the other grade levels' hallways. We adults had a great time developing the new House identities. Having to work on the House-building tasks helped the teacher teams gel. Once all the House crests were completed, each House introduced their identity and shared the elements on their coat of arms. How Were Houses Communicated to Students? In weekly Family Advocacy classes during the first weeks of school, teachers explained the House structure. We found spaces throughout the school where the three grade-level classes could meet together to learn about their House identity, view their coat of arms, learn their slogan, and practice their cheer or chant in preparation for our kick-off rally in early September. None of our classrooms can accommodate three class-groups of kids at a time, so we had Houses meeting in the front lobby, at the end of hallways, in the gym, in the cafeteria, in the courtyard and on the front patio, anywhere we could find the space. The entire student body could hear one another practicing their cheers or chants throughout the building. Students with strengths in dance, rhyming, or rapping emerged as leaders during this task; their Houses needed them. The leadership team had the Houses' coats of arms enlarged and professionally printed. We glued these prints onto black foam core and taped a yardstick to the back of each board, constructing a banner that House Captains carried into each quarterly rally with much pomp and circumstance. At our rallies, we have each House sit together. Several of the teacher teams and captains persuade their members to wear their House color and wave matching pompoms or cloths. This power point shows how students and teachers earned points for their House and how we announced current rankings at each quarter's rally. It also shows recognition of the House MVPs for each quarter - the students who earned the most points for their House during that time period. We keep a very intricate spreadsheet that allows us to keep track of every point each student and teacher earn for their House. This allows me to identify Most Valuable Players from each House and to update the school family on their House rankings throughout the school year. Because we report "Average Student Points" rather than total student points, the race is always close, which keeps everyone in the game. Our last assembly, in early May, is the event of the school year. We announce the final rankings (first through fourth places only) and celebrate the winners. The winning House always gets an all-expenses-paid field trip and t-shirts with their crest printed on front and "House Champs" and the year in back in their House colors. Last year, the House of Creativity won the first-place field trip to Tucker Leadership Lab and William Jewell College. Second place was rewarded with the same field trip but no House shirts. Third and fourth place Houses won a day in a local park, with a picnic lunch. Fifth through Ninth place Houses worked hard all year too. They won a fun day at school, including a popular movie, field time, BINGO games, and a special lunch. Orchestrated fun, extensive student involvement, a sense of belonging, positive expectations among peers, a "family" atmosphere, student recognition, and plenty of positive interaction between kids and adults works together to balance our strict discipline system. It literally makes kids behave better and/or cooperate more with us when we need to address a missing lifeskill or a hurtful or disruptive incident. When young people get the message that we adults want to be with them, want to enjoy them, want them to succeed, they want to do the same. It takes extra work to develop Houses, hold rallies, and to provide year-long themes, but it is well worth it in the pay-off we get for our school climate.